Julian Gray chats about working with mau5trap, finding success on YouTube, and more. Learn more about this rising star and tune in to his exclusive guest mix! One of the fastest rising stars in the scene is none other than Julian Gray. 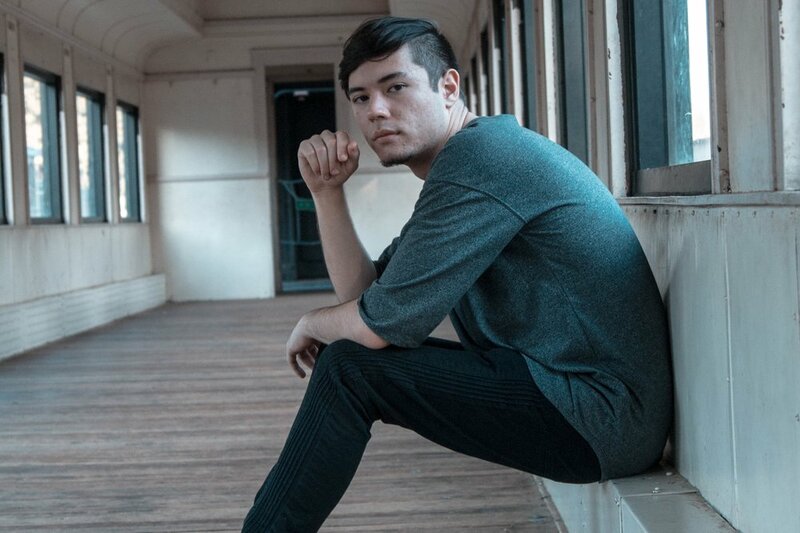 Based out of Los Angeles, he has quickly made a name for himself as a producer with his blend of progressive house, electro, and techno in tow. Catching the ear of deadmau5 over the past few years with some of his musical submissions, his hard work paid off in 2018 with the release of tracks like “Resident Try-Hard” and the Autonomous EP on mau5trap that helped propel him to the next level. Aside from Julian Gray’s own work in the studio, he’s an active member of the scene and has built his own community through platforms like YouTube and Discord. Through these mediums, he is able to interact with fans and other aspiring producers to help them learn production techniques, give feedback to tracks that are still a work in progress, and even get together to hang out with them for meetups on occasion! Having blown us away with stunning tunes like “It Is What It Isn’t” and “Autonomous” last year along with inclusions on We Are Friends Vol. 8 to start 2019 strong, we wanted to catch up with Julian and pick his brain about some topics in the scene. Check out his exclusive guest mix below and read on for our chat with this rising star! Hey Julian, thanks for taking the time to chat with us! Last year saw you debut on mau5trap with original work like “Resident Try-Hard” and the Autonomous EP that blew us away. When putting together the EP itself, what was your selection process like on which tunes made the cut? Hey guys! When I was contacted by deadmau5/mau5trap to put together Autonomous, It was actually directly following the release of my previous EP, Illuminate. I had just released all of the music I was working on to have a fresh start in the new year. Because of this, much of Autonomous was written directly for Autonomous, with the exception of the title track “Autonomous” and the single, “It is what it isn’t” which I had been kicking around in the back of my head for months prior. Originally, “Resident Try-Hard” was meant for Autonomous, but we pulled it off for Foar Moar so I could have something out on the label earlier. Having developed your own unique blend of styles dubbed “progress-o,” for those who may be unfamiliar with your sound, what are the ingredients to the recipe? “Progress-o,” as my fans like to call my music, is some blend of electro, techno, and progressive house. My style maintains a lot of the groove of electro, the energy and many of the production elements used in techno, and the melodic elements of progressive and trance. While most of your work has been in the realm of progressive house, electro, and techno, you have a handful of tracks in synthpop and even have a drum & bass remix, as well. Do you have any plans to release tunes in those genres again in the future? I absolutely adore genres other than my comfort zone! I’m actually working on some stuff at 175 right now. Just put that dubstep remix out on We Are Friends Vol. 8 as well! I’m always exploring and exercising my creativity on new things. Keeps me on my toes! Since beginning to work with mau5trap, you’ve received loads of support from their strong community of fellow artists and fans. What has been your biggest takeaway from the experience so far? Honestly, it’s been incredibly profound to realize how many people I’ve been able to influence. I recently had my first ever fan club meetup, and it’s made me realize that every one of those numbers is a human being. When I look at my near 50k monthly Spotify listeners in that light, It really blows my mind. My biggest takeaway has been that every one of those numbers is a human being, and the humbling that comes with realizing that I’ve impacted them in some way. My success on mau5trap and by proxy my new fan community really helped me realize that. Congrats on recently surpassing 25,000 subscribers on your YouTube Channel! While many artists have seemingly struggled to embrace the platform, what do you feel has allowed you to find success and develop a strong fanbase? My method has been sharing my knowledge and building a community around sharing knowledge. My fans are both listeners and producers, so there’s always a common interest that keeps listeners returning to the community for more. As far as general listeners go, mau5trap has helped bring in a slew of new fans to the channel and I’m incredibly thankful for that. Earlier this month you hosted a meetup that brought your fans together to hang out and listen to some music. What was your favorite thing about hosting this meetup, and do you have plans to do them on a more regular basis? We had a blast! Me and some of the planners from the community who made this first meetup possible, (Gypsy, I’m looking at you) are definitely planning to do this regularly. The best thing about it was meeting everyone, I love everyone who came out! What has been the biggest struggle you’ve faced as an artist so far, and how have you overcome it? Continuing to find inspiration. I think it comes and goes in waves, just like anything. The key is to really just capitalize on the moments you are most inspired and don’t get discouraged when you’re not. Your creativity hasn’t gone away, it’s just on vacation. Who are three artists you enjoy listening to who are outside of the dance music realm? The Japanese House, Into it. Over it., Hundred Waters. Definitely some of my favorites right now. I could name hundreds more, but these are the ones that came to mind. Where is your favorite place to get a late night bite to eat in Los Angeles? If it’s before 1 AM and I’m in the general LA area, In ‘N Out Burger. If I’m in Hollywood and want somewhere to hang out with the homies after a show, Mel’s Diner is pretty unbeatable. Finally, with the entire year ahead of you, what are some goals you hope to achieve in 2019? This year I’m looking to release a lot more music and to focus more on live performance! It’s about time I hit the road, this LA meetup made that clear to me. Thanks for having me, I loved answering your questions, cheers!